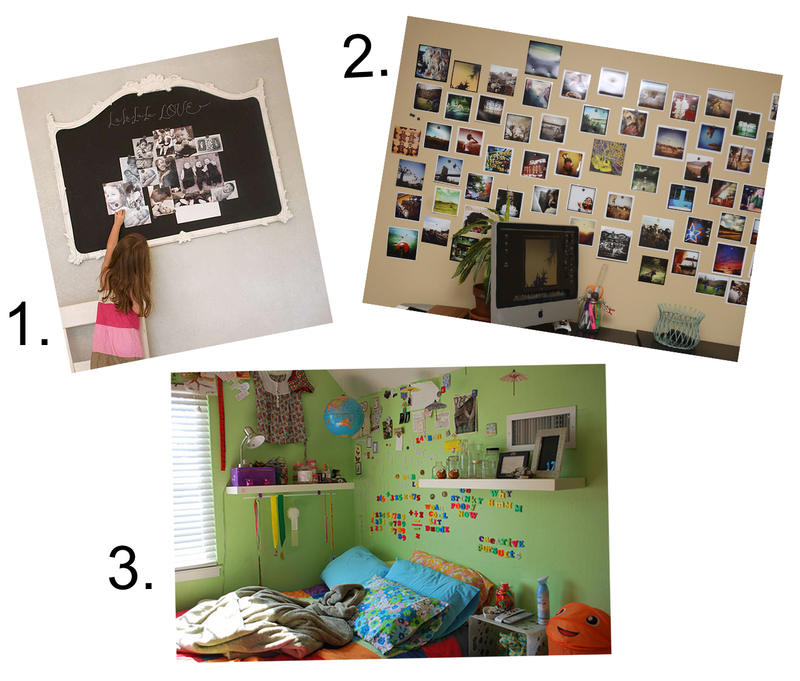 Looking for a fun and new way to display photos, notes, or your childrens artwork? With Rust-Oleum Magnetic Primer, apply three coats to any surface and then top it with your favorite latex paint – you choose the color! Or try topping it with Benjamin Moore Chalkboard Paint for a multi-use surface. The magnetic primer will give your wall the ability to act as an extra space to display almost anything with magnets! Check out some fun ideas we’ve found around the world-wide-web! 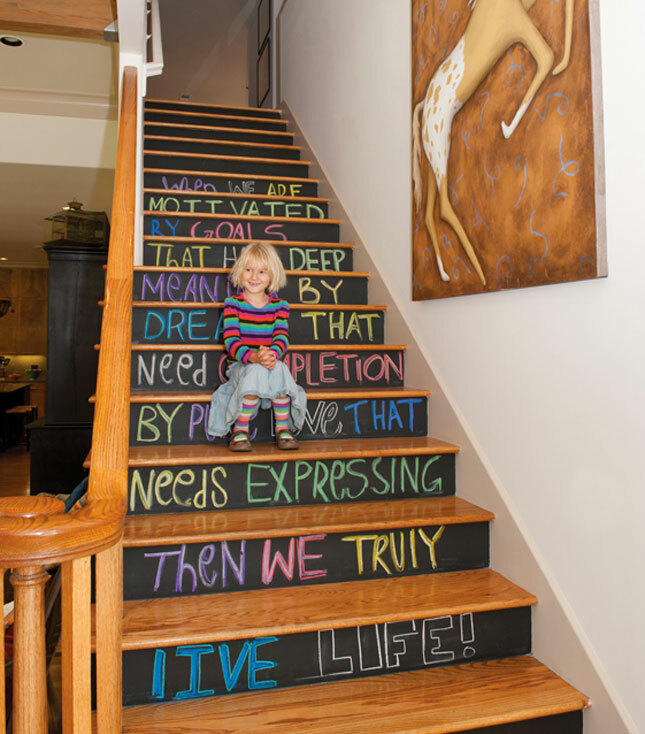 1* Use Rust-Oleum Magnetic Primer as a base before topping it with a chalkboard paint to make displaying notes + photos fun in the main entry way for all! 2* Use the Magnetic Primer and your favorite latex paint to make a creative space to share photos in your workspace. 3* Used in your child’s bedroom or playroom to have a special way to display their school work, art, and get their creative juices flowing with letter / word magnets! Whether it’s in the kitchen, the kid’s playroom, or in the garage – using Chalkboard Paint can add a little twist to any room! Some Do It Yourself project ideas from our team to yours! 1) Daily Menu & Planner | Let the family know what’s on the menu for the day from breakfast to dinner! Or use it to organize your days and schedules. Paint the chalkboard paint in a square or rectangular shape on the wall, frame it with decorative molding or colorful paint, and use as you wish! 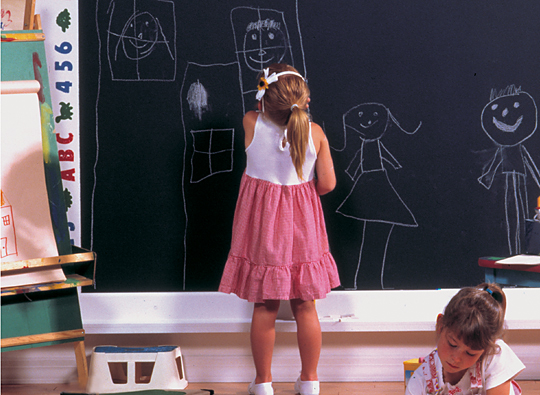 2) Kids Playroom Wall & Artist Area | Have budding artists that can’t seem to contain their creativity? Paint an entire wall with chalkboard paint and let their creative juices flow with this eco-friendly and fun project! 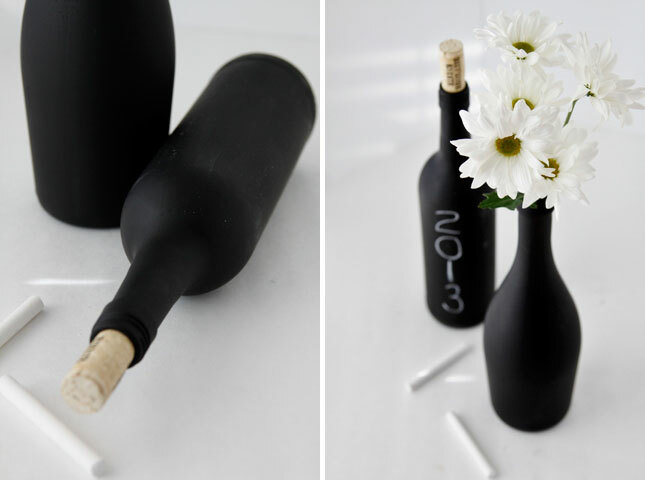 They’ll love to draw on the walls and you’ll love the no-fuss, no-paper waste! 3) Eco-Friendly Message Board | We all leave notes and make the daily “To-Do” list! 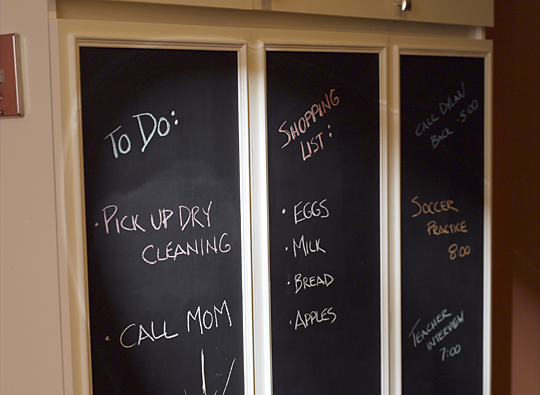 Use chalkboard paint to make your daily reminders more eco-friendly and fun for the family. Paint an area with chalkboard paint and frame it with decorative molding or colorful paint. Then create calendars or lists to help organize your day! 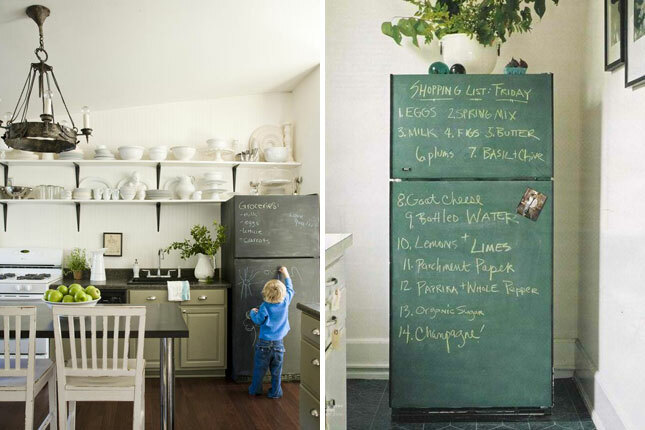 4) Organize | Spice up the kitchen cabinets or closets with chalkboard paint to organize different containers. 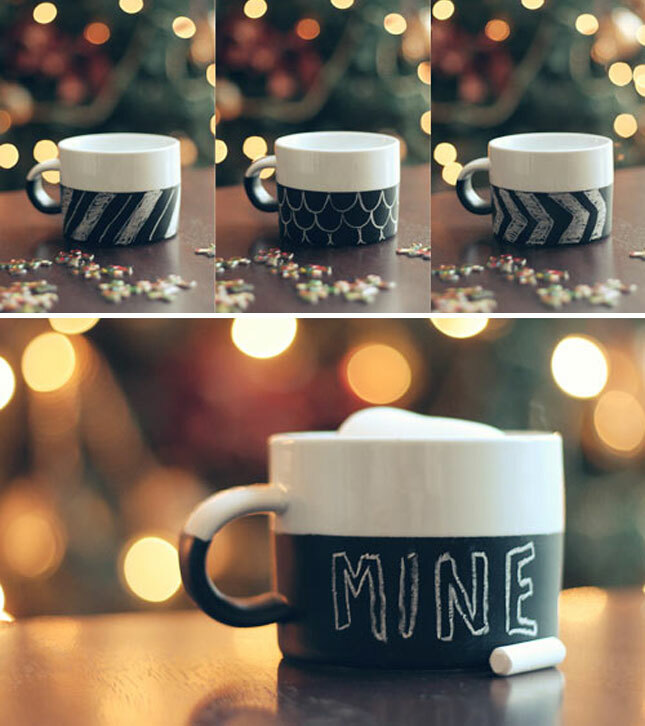 Simply paint a small square or circle on each container and let dry. 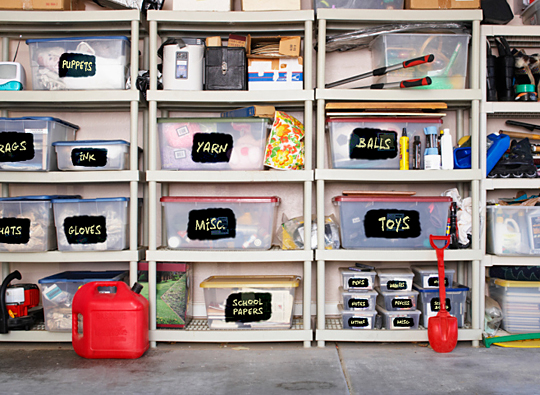 Use chalk to label containers and never spend time searching for what you need again! Benjamin Moore Paints and California Paints.